We are engaged in supplying and exporting Embelia Basaal from Telangana, India. 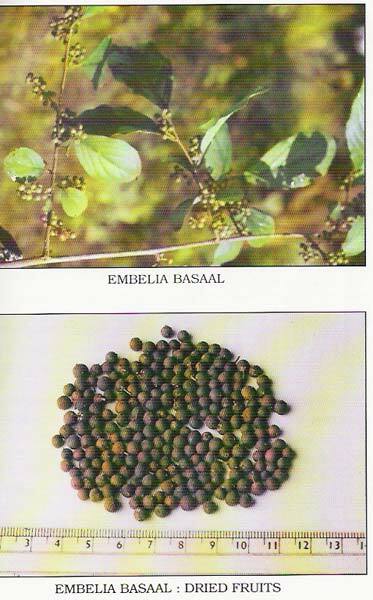 We procure Embelia Basaal from reliable vendors who cultivate it using organic agricultural practices. We ensure customer satisfaction by packaging Embelia Basaal in high grade and tamper proof materials to ensure there is no loss in freshness and quality. Customers can avail from us our range of beneficial Embelia Basaal at reasonable prices.